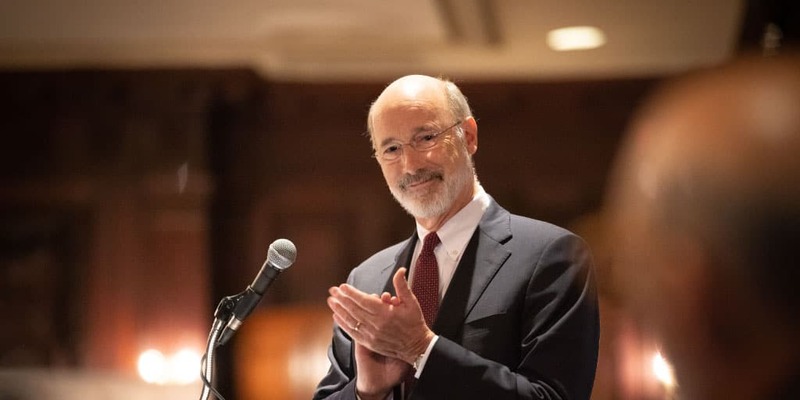 Latrobe, PA – Governor Tom Wolf joined Secretary of Education Pedro A. Rivera and educational leaders from across the commonwealth today to recognize Dr. Gennaro R. Piraino, Jr., Superintendent of the Franklin Regional School District, as the 2019 Pennsylvania Superintendent of the Year. Dr. Piraino has been superintendent of the Franklin Regional School District since 2013. During that time, the district has significantly increased in the number of students earning qualifying scores on Advanced Placement exams and emphasized preparing students for college or to start a successful career. Last year Governor Wolf appointed Dr. Piraino to the new Pennsylvania School Safety and Security Committee which is developing recommendations for schools and will help award $60 million in safety grants. The Pennsylvania Superintendent of the Year is selected by the Pennsylvania Association of School Administrators. The award inspires educational leadership and promotes pride in public schools.